Help this military intern fend off menacing dinos in our Game of the Week. 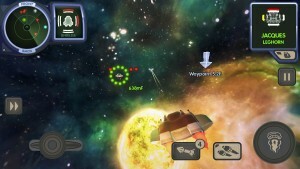 In the mood for a quirky little space shooter? 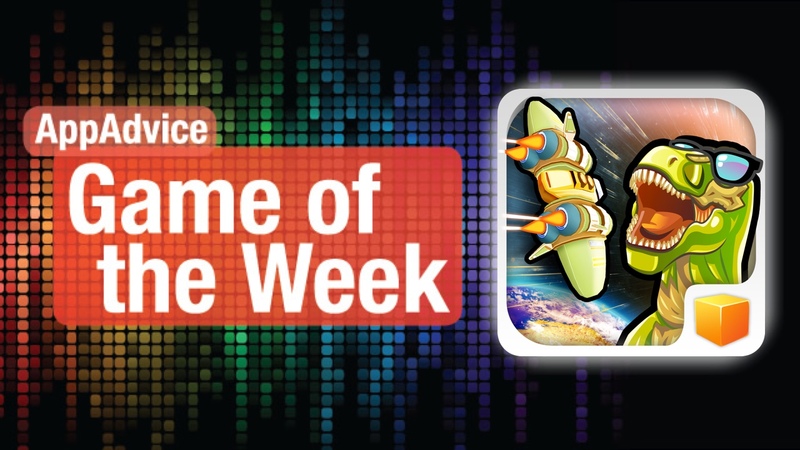 Then you should check out our Game of the Week, Ace Ferrara and the Dino Menace. This game is published by Bulkypix but is the work of indie developer Philipp Seifried, and it really shows you that the real gems come from these small developers most of the time. Ace Ferrara and the Dino Menace has a stunning visual style, featuring 3-D cartoon graphics and a gorgeous space environment to fly and shoot in. Everything is beautifully detailed, and the animations are smooth and fluid. It even has an ’80s cartoon soundtrack and fun sound effects. In this game, you help Ace Ferrara, the new military cadet intern recruited by the Proton Riders, fight against space dinosaurs who have declared war. Yep, it’s eccentric all right, and worth a pick up. The plot, should you happen to pay attention to, is immersive, but optional if you just want to jump into the action. The game’s mechanics are engrossing and easy to pick up and play, and there are two difficulty modes to cover the novice to expert. The game has various missions that will keep you motivated to play, and it all becomes a very rewarding experience. The controls are super responsive and allow players to control speed, turbo boost, manage firearms, and locking on to targets. You can even fly at warp speed to cover long distances when needed. The aiming mechanism is also very precise, so you will never miss your target. Ace Ferrara and the Dino Menace has all physics under control here, which is great. We’re loving the action-packed Ace Ferrara and the Dino Menace for the past week, and if you are in the mood for an epic, cartoonish space shooter as well, don’t miss out on this one. 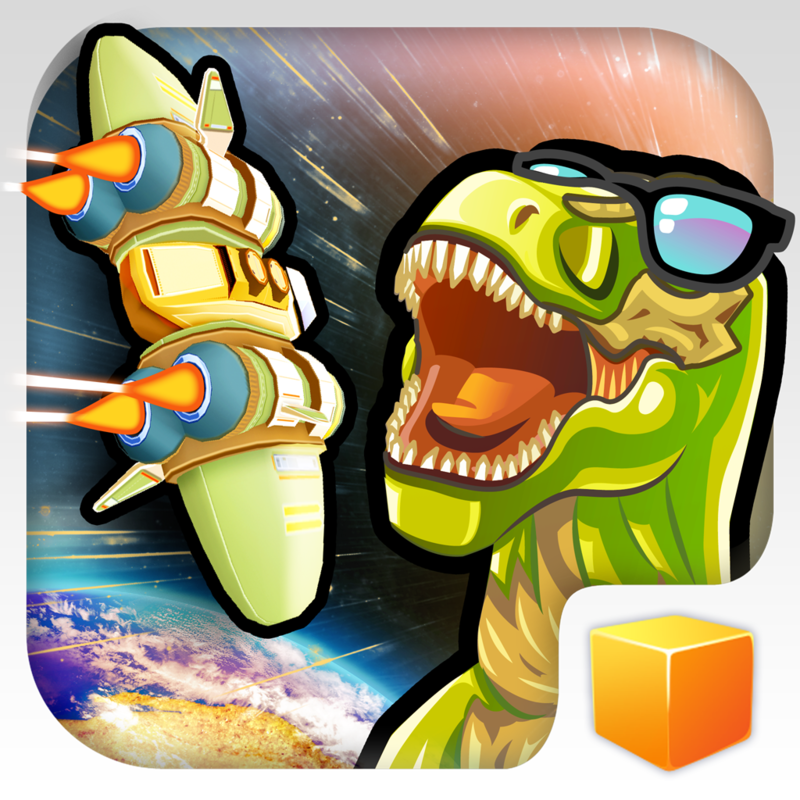 You can get Ace Ferrara and the Dino Menace in the App Store as a universal download for $3.99. For more information, don’t miss our full review. Think you have what it takes to be survive Wall Street? 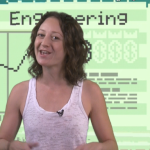 Feel like playing a twitchy reflex game with a little Wall Street twist? Then you should check out our Honorable Mention for the week: The Firm. The game comes in an alluring art style that is similar to what you would find in Sword & Sworcery. 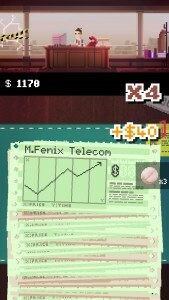 The retro, pixelated look is just gorgeous, and despite looking simple, things are pretty detailed. The animations are smooth and the soundtrack is a delight. In The Firm, you are one of many applicants for a stock trader job at a prestigious company. It’s your first day, and you are given a stack of stock cards that need your attention. You have to decide whether to buy or not buy the stock, and you get paid for each correct decision you make. If you screw up, the stack gets bigger, but if it reaches the line on the desk, then it is game over. Your character will commit suicide by jumping out of the window, and the next applicant takes over — rinse and repeat. 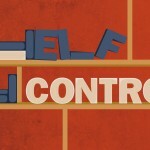 The controls in the game are simple and can be played with one hand. To not buy a stock, just flick it to to the left. If it’s something that should be bought, then flick it right. The cards will be green or red, depending on how they’ve been doing in the market. However, there are graphs on them that will be going up or down. If it’s green and up, buy; if it’s green and down, don’t buy. For red cards, if it’s going up, don’t buy; if it’s down, then it’s time to buy. All it comes down to is memorization, reflexes, and speed. Each correct decision earns you cash, and getting them right in succession begins a multiplier, so you get more money for decision. But a mistake just makes things worse by speeding it up and adding more to the pile. There are power-up items that you can acquire with all of your total earnings, and they do cool things like slow down the pace and much more. We’re loving the fast-paced, twitchy action that you will find in The Firm. 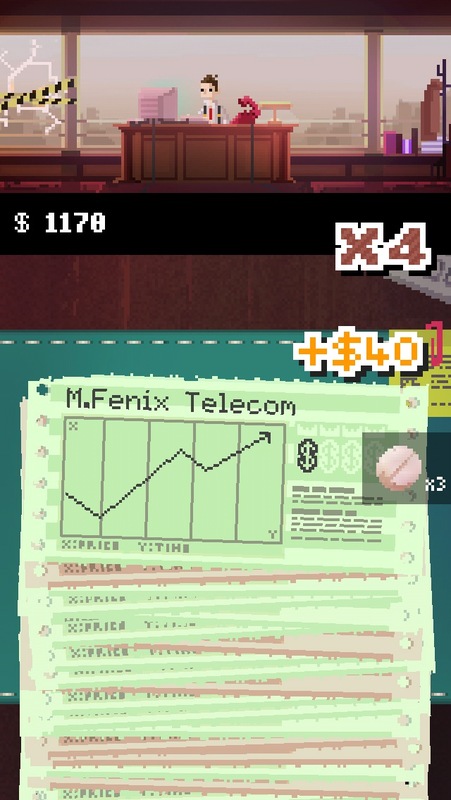 If you feel like getting a taste of Wall Street in the form of a twitch reflex game, then this is worth checking out this weekend. 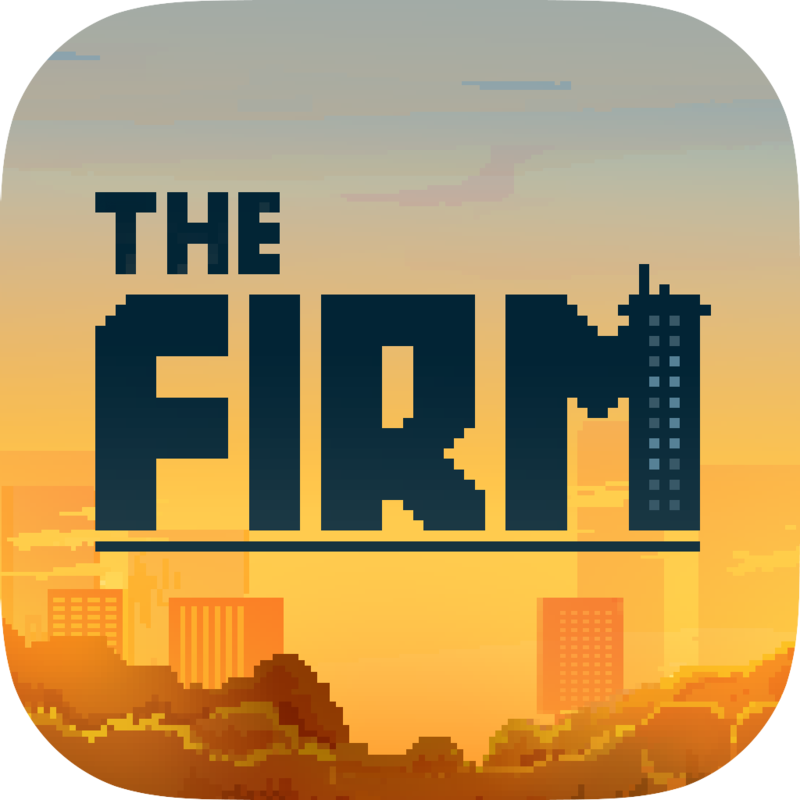 You can get The Firm on the App Store for the iPhone for $0.99. For a closer look at The Firm, make sure to check my full review.